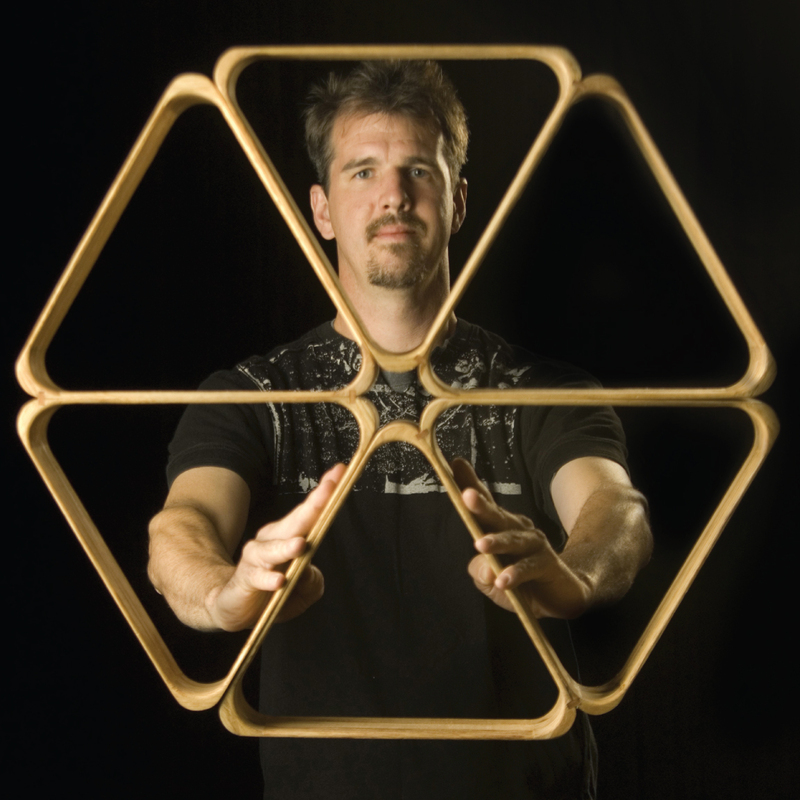 Originally trained as an engineer, Greg uses the principles of geometry and physics to create groundbreaking work with original apparatus. 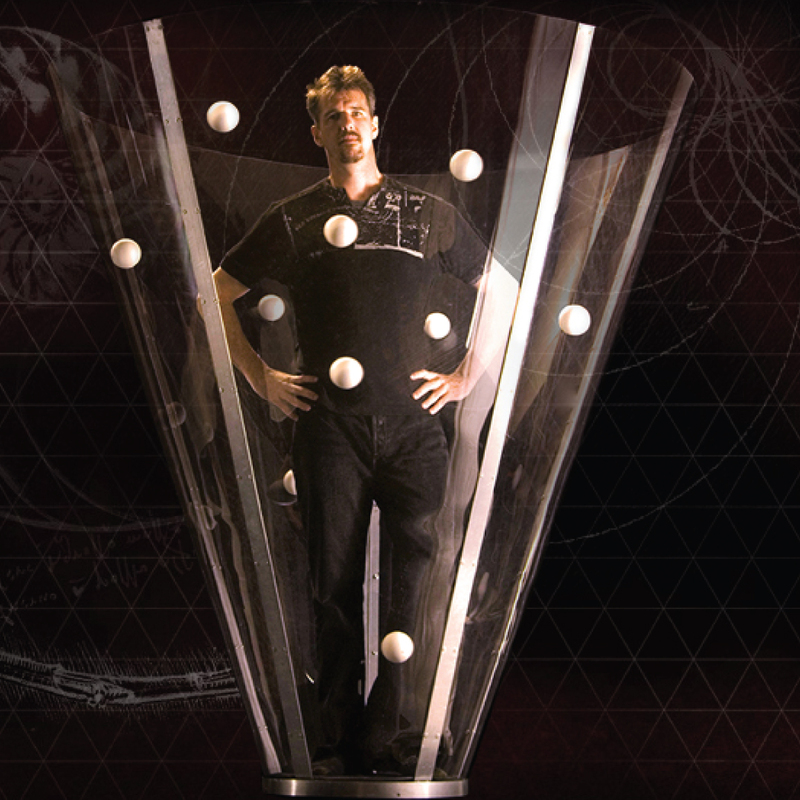 As a young juggler, he quickly made a name for himself in the juggling community not only by his mastery of traditional juggling technique, but also for creating entirely new forms of manipulation. 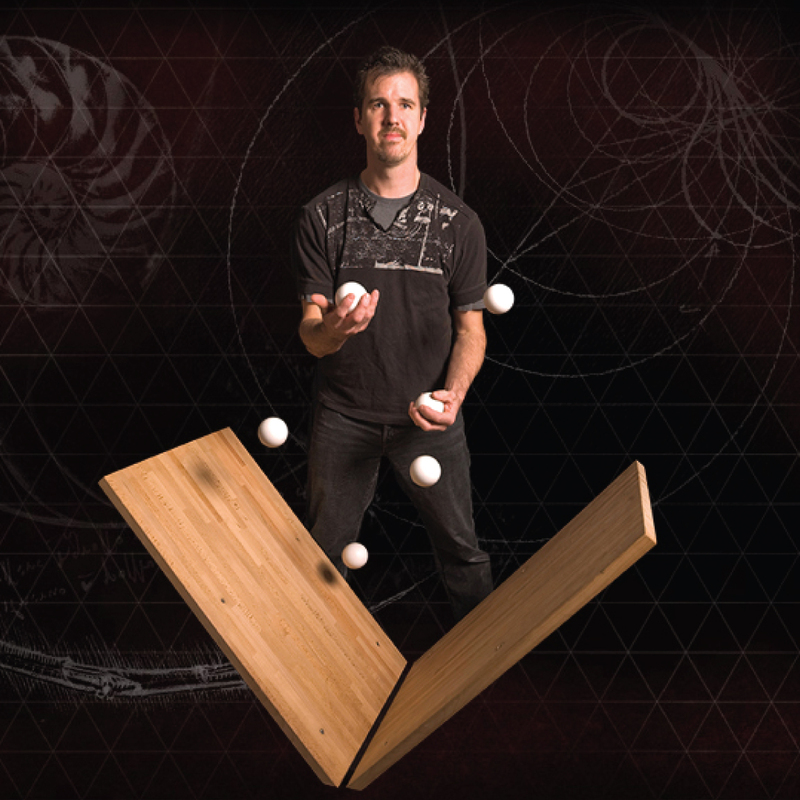 He is now renowned for his many original contributions to juggling as an art form. 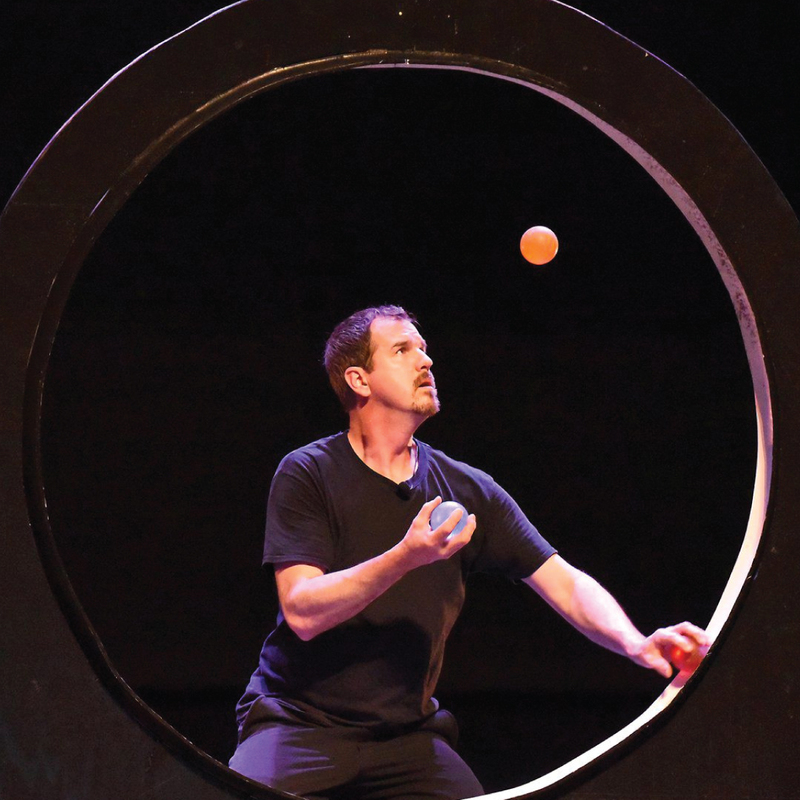 Jugglers know him for his award-winning creativity; audiences know him for his entertaining performance, making visual spectacles by combining art and science.